Many companies understand that when employees are healthy they are more productive. This is why many invest in wellness initiatives like healthy snacks, ergonomic workstations, and workplace gyms. The physical health of employees is generally well addressed; however, many companies do not sufficiently consider the emotional health of employees and the impact on the business. The mental health of employees is just as important as physical health and needs to be addressed by companies in every industry. In many instances, companies simply don’t understand the role that they can play in employees’ mental health. There is also a lack of understanding of what resources are available for companies who want to advocate for the mental health of their employees. There are a number of ways that employers can encourage mental and emotional wellness in the workplace. Leaders need to demonstrate the behaviours that they would like employees to emulate. Managers who are constantly stressed about workloads and regularly stay at the office well past business hours are setting a poor example. Employees will look at these behaviours and assume they’re the workplace expectation and norm. Leaders need to ask people questions about their life outside of work and share their own experiences. This can show employees that life outside of work is valuable and that they’re not expected to regularly bring work home. It’s also healthy for managers to acknowledge when their teams are under pressure. This can help create and safe and positive environment where employees can feel comfortable speaking up and asking for help. It’s important for organisational leaders to talk about mental health. Mental health can carry a big stigma in some cultures and workplaces and often issues go unaddressed. Leaders and managers need to own the communication around the importance of mental health and let employees know that issues can be openly discussed. Employees need to be reassured that it is safe for them to voice their concerns about challenges with things like stress, anxiety, and depression. Making employees aware of company mental health resources is also key. Having a company newsletter, mental health practitioners, or a resource library can all be very helpful. While employees do need to seek out these resources on their own, reminding them of their options can encourage them to do so. When someone is battling a mental health challenge, it can be easy to forget that there are resources available to help. Employees who feel like they belong in their position and among their colleagues will be more productive and engaged. Ensuring employees understand their role within the organisation’s greater purpose will give them a sense of accomplishment and motivate them to contribute above and beyond their role. Encouraging employees to form personal connections with colleagues provides them with a support network that they can count on during times of stress. A workplace where employees feel emotionally supported and safe to express their opinions creates a healthy environment high in inclusivity and empathy. Every organisation should make sure that their leaders and managers are talking to employees one-on-one. The goal should be to learn about what motivates them and how the organisation can support them in achieving their professional goals. When an employee feels cared about they will be happier, more loyal, and more productive. 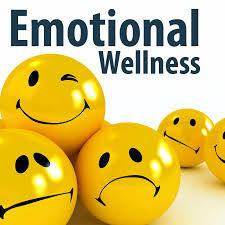 Mental health and the emotional wellness of employees should be an everyday concern for employers. A comprehensive wellness programme not only addresses physical health, but also the mental health of employees. By striving to improve the emotional health of employees organisations will realise many benefits through reduced costs, improved loyalty, and greater productivity.